Ceylon Cinnamon - Delicious, Enticing and a Favourite in Puddings Everywhere! Ceylon, now known as Sri Lanka, is unsurprisingly where you find Ceylon cinnamon (cinnamomum verum) being cultivated, grown and harvested just as it has been for thousands of years. Also known as true cinnamon, it is also sometimes called bakers or soft stick and this is the variety you'll find ideal for use in foods ranging from desserts to puddings to pumpkin pie and baking. It also is a vital ingredient in many homemade blends and mixes. You can even use it in your drinks, and I sometimes use it to make a tasty drink. Click for my tea recipe. 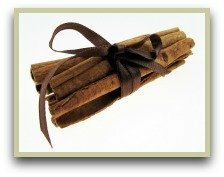 If you're living in America or Canada and using it, it's more likely to be cassia cinnamon, a cheaper, more potent relative of the Ceylon variety. When making desserts, puddings or my pumpkin spice I prefer Ceylon cinnamon. For my "heavier" dishes, stews, curries and blends etc, I prefer cassia or Saigon. But there are no hard and fast rules, you can swap between the two without much problem. Read more on the culinary uses. The familiar sticks are made from the inner bark of cinnamon trees. And harvesting the spice takes great skill and expertise, the better the harvester the better the quality of the sticks, therefore merchants can command higher prices. The outer bark is thrown away, and the strips curl into what are called quills and are left to dry. The bark is harvested when it's wet, and takes up to six hours to dry and roll up properly. Today it is grown in various countries: Vietnam, Zanzibar and Egypt to name a few, but it's still Sri Lanka leading the world and it produces over 90% of the worlds supply. Mexico takes the crown as the world’s biggest importer of Ceylon cinnamon, for use in chocolate making and many Mexican dishes, sweet and savoury. I do recommend grinding this spice yourself. The pre-ground powder quickly loses its potency and flavour. And who knows how long ago the store-bought stuff has been sitting on the store shelf? 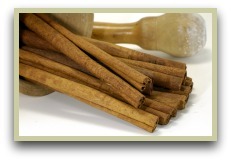 Ceylon cinnamon sticks can easily be ground using an electric grinder. And the powerful aroma of the freshly ground powder is something you really should experience! Cassia and Saigon sticks are much tougher to grind and can sometimes damage your grinder. The tough bark can get jammed under the blades and I've snapped a few blades trying to grind it! Luckily grinders are reasonably inexpensive. So when grinding, make sure to break the bark into small pieces first and turn your grinder upside down before switching on. Once the blades are spinning turn the correct way up. This gives the blades some protection. Cardamom - All you need to know about the "Queen of Spices"